("M. A. Day From Nature" - Still Life). 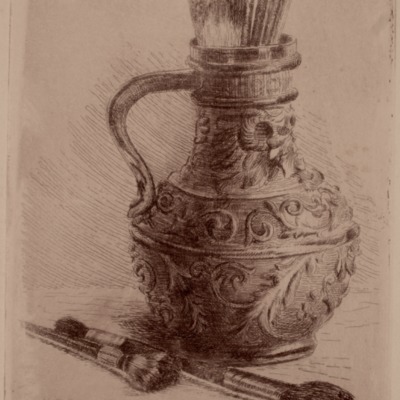 Drypoint closeup of a pitcher with paint brushes around the bottom and in it. The signature is found in the lower left, it is signed "M. A. Day from nature"
Mary A. Day, “Untitled ,” LLB Galleries, accessed April 23, 2019, http://artgalleries.milne-library.org/items/show/101.